IMPORTANT! Please first measure your phone and compare to the dimensions (below in �Features�) of this phone/wallet product. 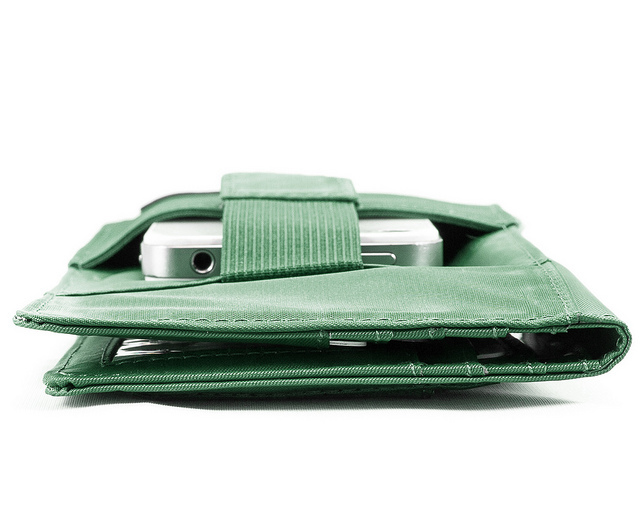 The Executive Phone Wallet is our basic "carries everything" wallet. 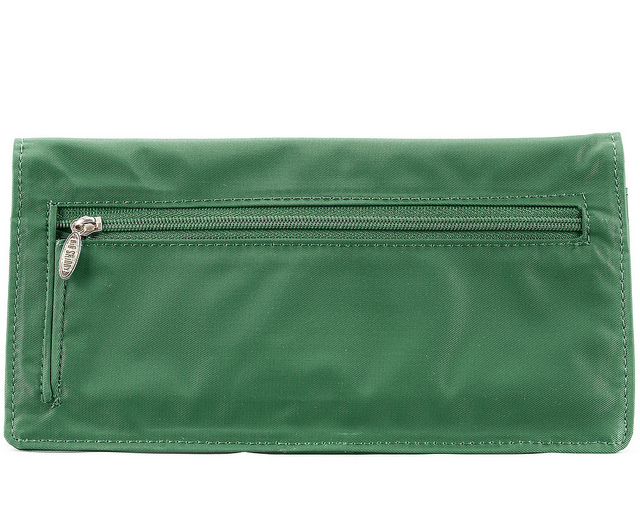 If everything you carry won't fit in this wallet, you're carrying too much and it's time to downsize. 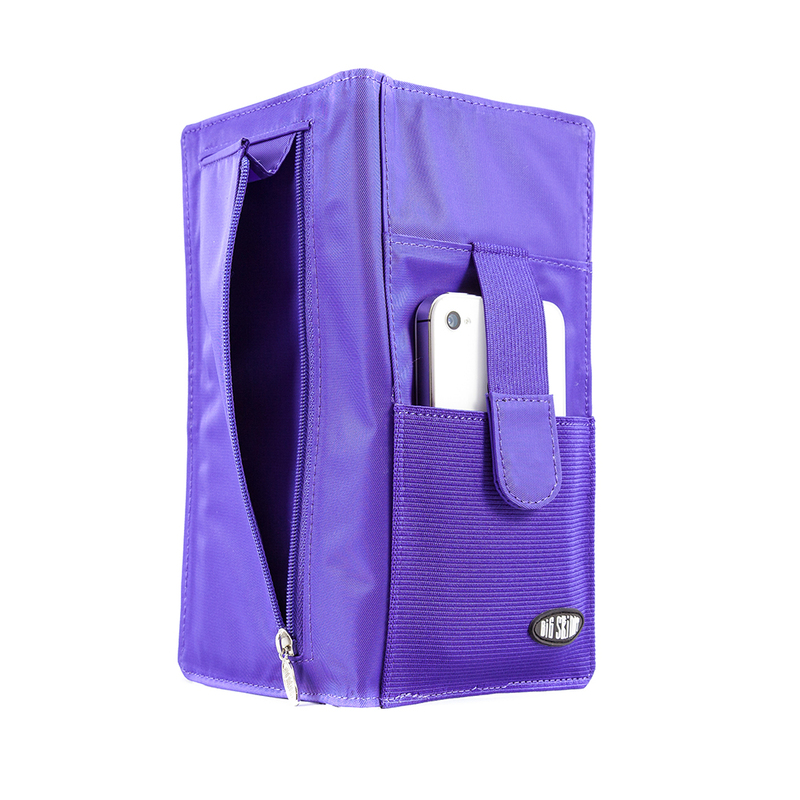 The Executive Phone Wallet has a host of features, including 2 ID pockets and plenty of credit card slots. 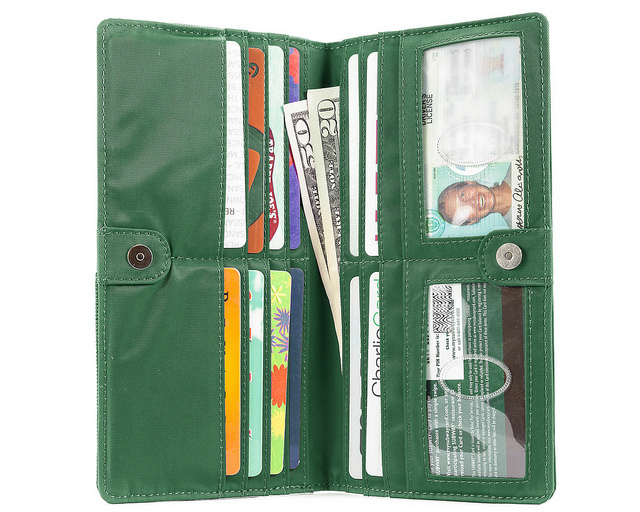 The wallet can hold up to 30 plastic cards and a ton of cash. 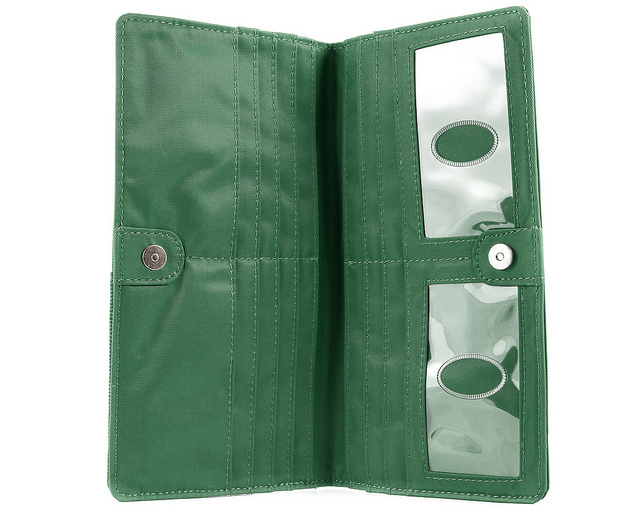 There's even a divider in the billfold section, creating 2 pockets for money, checks, foreign bills or more. 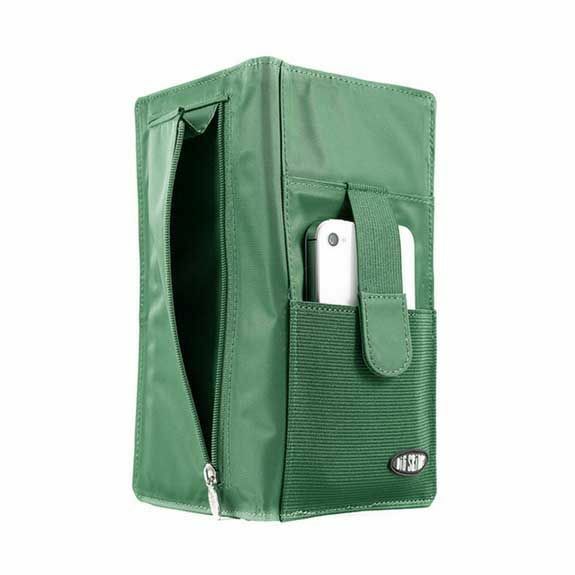 Lose items even have a home in this unique design thanks to a zippered pocket on the exterior. 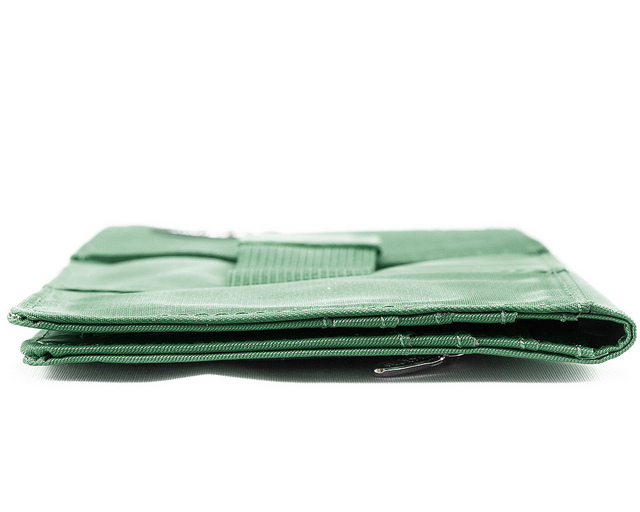 A cell phone pocket on the reverse of the wallet holds your phone securely in place using an elastic strap. The roomy design has space for most cell phones, but you should measure before you order to make sure yours will fit. In addition to all of the amazing features, this wallet is made with high-quality materials and comes in several colors to match your purse or personality. It's incredibly thin and lightweight, but has plenty of room to organize all of life's essentials. The phone wallet includes a magnetic clip closure for convenience and quick access to cash, credit cards or your phone. This is a great wallet, I just dont like the color. It is a bit stronger in real life than the picture. I have never had a wallet that fits everything including my phone and is slim. Awesome designed but I just dont like the color. ProsFits my iphone 7 perfectly, all my credit cards, club cards, coins and bills. On top of it is super thin. ConsThe color is way too strong in person that in the picture. 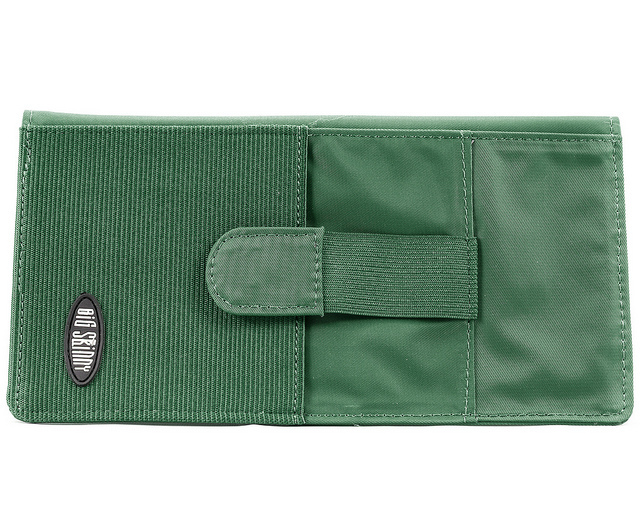 I’m not a fan of green but needed a wallet that’s slim. I have a small baby and don’t carry a purse anymore, it will be better with a wristlet. I like everything about this wallet except that my fat car key has no place to go! Being able to hold the wallet and phone in one hand is great. The coin pocket is big enough to get my large fingers in to grasp coins, as opposed to the small one on my Taxi-cat. I don't carry a purse so when I don't have pockets, I use this wallet instead of the pocket-sized Taxi Now if my key were just flat, I could put it in the pocket! ConsWish it came in prettier colors or more patterns like the Citrus Deco TAXCTRS. That one is gorgeous! I used this wallet almost 2 years until my husband needed a flatter billfold. Now he's used it over a year. The best part is that his back doesn't hurt from having this wallet in his hip pocket while he is driving. He absolutely loves how he can get everything in such a flat space, and he shows it to people all the time. I had my old wallet for over 5 years with the clasp got stuck and my coworkers had fun breaking it off. I do not have a lot of cards, but with every store having a "member" card, they add up. Normal wallets were too bulky. Searching the internet I came across the Big Skinny and figured why not? I have fallen in love! It fits everything, and stays skinny (not to mention, I love the purple). ProsEnough room to hold tons of cards (even with all of the member cards we carry these days). Stays skinny. ConsThe absolute only con I can find is that the area to put cash is inside behind the cards (on either side). It would be great if, on the back, there was a zipper a little lower than the one for change is now that would be for change, and then another just a little higher for bills, to be able to access cash without having to open the wallet and have everyone see what cards you carry. This is my 2nd piece of BigSkinny product, still loving it. Fits my iphone 6 perfectly too! ProsColorful, thus easy to find in my bag. Extremely sleek. Light for all that it holds. This wallet would be perfect if you crossed it with the Panther Clutch. I love the cell phone feature on this wallet, but want the zipper closure of the Panther Clutch. You can't get a better product than the Big Skinny wallets so I can't see myself carrying any other brand of wallet. However, I am a little disappointed right now. There are so many styles to choose from that I keep expecting to see some type of "crossover" style between the Panther Clutch and either Executive Phone wallet, but so far have not found it. So, for the meantime, I will carry my Panther Clutch and keep monitoring the website for new styles. Thanks for making such a great product. It is, as promised, the most compact wallet you can find. It's like Mary Poppins' carpet bag. I find all kinds of uses for that little outside pocket too. It's a great place to stick receipts that I want to keep for a while, shopping list and sometimes my phone. (my iPhone five fit with the buckle closed but with my iPhone six I can't close the snap so I only use it for that when my hands are full) I previously owned The purple one in the same model. I really love that but I am not tidy enough and it got stains. I just ordered a black one. The purple one lasted a couple years looking nice. I actually considered ordering another purple one but in the end I went with the practical black. Merchant Response:LOL! Love the 'Mary Poppins' carpet bag' reference! ConsMy daughter ordered this and found it to be too large for her uses and send it back and got a folding version. If you want to carry it in your pocket it is too big for that. But they have lots of models to choose from.